Every designer is a skilled internet hunter. After just a little time you learn where to find your prey, how to understand if it is worth getting and when will be the perfect time to hunt it down. Of course, I am talking about icons, fonts, and other design elements. Even inexperienced beginners know that drawing the design from a scratch is a really complicated and long-time task. Even the simplest landing page design needs at least a dozen icons and don’t even start talking about fonts, background and the rest of graphics. It will take several days or maybe weeks to draw a design using ready elements, because you have to tune them up and polish the whole picture to perfection, but without pre-made stuff, it will be months. Come on, the payment is not that big to put so many efforts in work (there are exceptions, yes, but let’s be sincere, they are VERY rare). As every good hunter, you sure have a really big hoard of graphic elements. Like mountains of gold, silver, and gemstones in a dragon cave, they lay silent and beautiful on your computer’s hard drive. However, what dragon will refuse to get some more precious treasures into his collection? That’s very pity you are not a dragon and can’t afford having everything you want, huh? I feel your pain, bro, every designer has the same problem with paid content. And that’s why you learn not only “where” to get those goodies, but also “when” to hunt for them. Every company does sales time to time and you can be lucky to grab the stuff you adore for a sufficiently lower price. 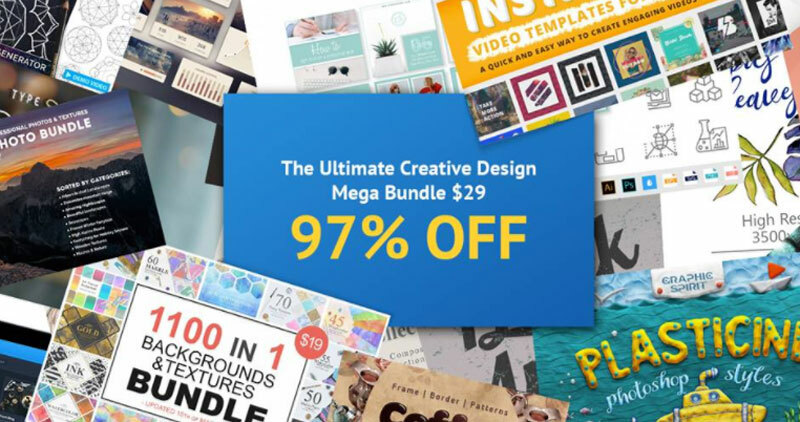 If you were waiting for a perfect time to hunt down some TemplateMonster product, stop waiting and go check Ultimate Design Bundle. We created it keeping in mind designers, their desires, and needs, so it is definitely worth your attention. And other things you will be happy to have at your collection! Why the perfect time to get that bundle is now? Because until April 30 it costs only $29! Twenty-nine bucks, Carl! On the other time that set of graphic elements would be worth $1123 and we sell it with a 97% discount. Even a Black Friday is not so profitable! There’s not much time has left, so hurry up! This great pray waits for you, digital hunter!